Color trends projected for 2017 include earthy combinations and shades of blue and green. As 2016 draws to a close, it’s time to start thinking about 2017 color trends. So far, it is looking as if 2017 will be the year of subtle sophistication. 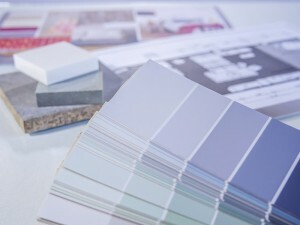 Earthy tones, muted shades, and bold colors with a twist will be everywhere lending spaces a new kind of personality. Read on to learn about the upcoming 2017 color trends and stay ahead of the curve. This beachy soothing blue is a modern take on one of the most commonly used colors. Slightly muted and sophisticated, it’s reminiscent of the beach without falling into kitsch. More and more, people are bringing the outdoors in with sophisticated color palettes, and this is a great way to make the trend work for you. If you prefer the bold and unusual over the muted and unassuming, this is a great way to make your home one of a kind. A bold blue green makes a unique statement and amps up the drama, especially when paired with warm toned or orange accents. Using yellow as more than an accent in home decor is a daring risk, but if you are looking for a one of a kind room with a delightful pop, nothing will make you happier than bright and cheerful yellow. As minimalism sweeps fashion and design, shades of white, black, and gray are finally getting the attention they deserve. Rich greys combined with a uniquely textured wall can create a refined look. Both soothing and futuristic, light blue greens evoke a mod sensibility without making a space feel like a trip through time. When paired with black and white accessories, colors in this family add an interesting but professional pop to any office space. People are finding whole new ways to bring the outside in with a sense of style. One way to do this is to combine earthy colors in a space. Taupe and muted earthy green shades will work perfectly together to create this look and feel.